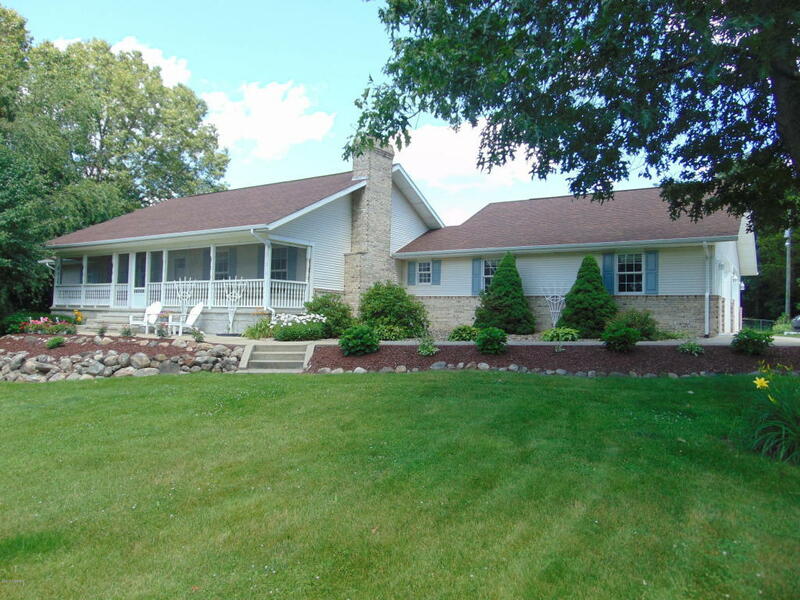 67397 Dailey Road Edwardsburg, MI. | MLS# 18015815 | Waterfront, Residential and Vacant Land Properties for Sale in Cass County, including Cassopolis, Edwardsburg, Union, Dowagiac, Marcellus and More! 5 acres Edwardsburg Schools! This home has had a big make over to bring you the light and open feeling you will love! You won't be disappointed! Sits off the road so privacy and quiet are in your back yard. This home has everything a family home would want and plenty of room to add more space! There is 2490 sq.ft. on main level and 645 sq.ft finished in walkout level.3.5 baths. LL has a bath plumbed and 2 other rooms that could be easily finished to make this a 4 or 5 bedroom home! Master bedroom is dream come true 16 x 26 with a 12 x 12 master bath large walk-in closet. All of the expensive items have been replaced in last year. 2 new furnaces, 1 AC unit replaced, new front and back doors, new tile floor and carpet and more! Be sure to pull up the attached sheet on updates.